Flip a coin. If it's tails, Snoopy will dance. Then your opponent's pokemon will be confused. 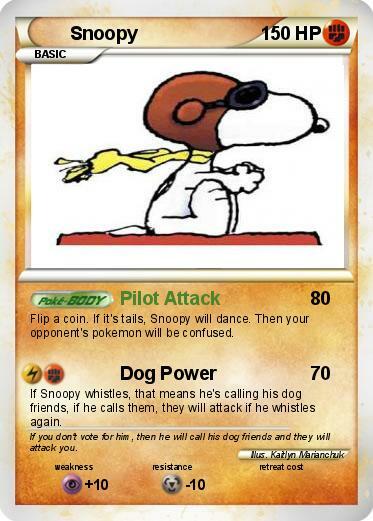 If Snoopy whistles, that means he's calling his dog friends, if he calls them, they will attack if he whistles again. Comments : If you don't vote for him, then he will call his dog friends and they will attack you.